Located in Silverstone, no more than a short walk from the world famous race circuit, Alitech Precision is a subcontract design, concept delivery and manufacturing company that specialises in the motorsport industry. 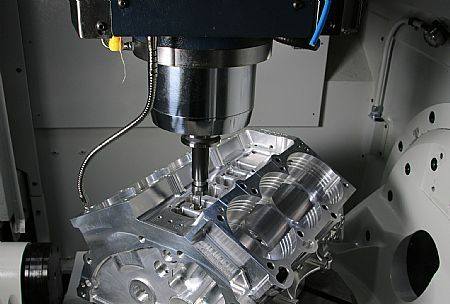 When the subcontract manufacturer purchased its first 5-axis CNC machining centre, the only feasible option for driving the machine was CAM software from OPEN MIND Technologies. 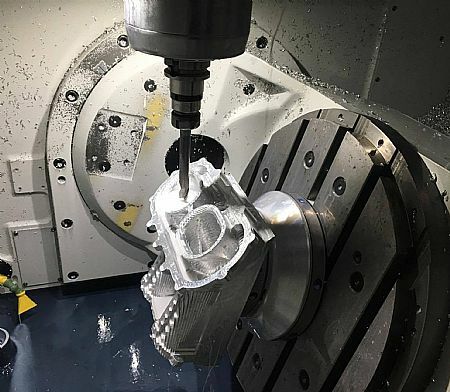 Alitech Precision opened its doors for business just three years ago with a HAAS VF2SS machining centre and a 3-axis CAM package. As the business evolved, it has acquired another two HAAS machines, a larger bed VF4SS with a 4th axis rotary table and more recently a HAAS DM2 high-speed machining centre. 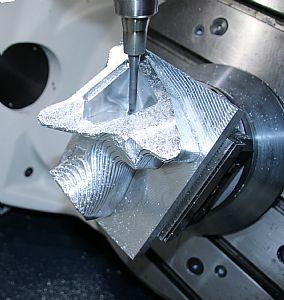 Whilst the 3-axis CAM package served the company well, it had limitations with 4th axis machining. These limitations were fully realised when the company installed a fully simultaneous 5-axis Spinner U-620 vertical machining centre. 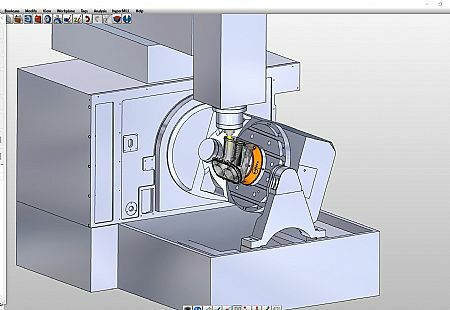 The fledgling business needed to upgrade its CAM software and after reviewing the numerous packages, the only feasible choice was hyperMILL from OPEN MIND Technologies. Specialising in the design of motorsport solutions and taking concepts through design to manufacture in the shortest possible time, the company works with everything from high-performance road cars to F1 teams in the local vicinity of the ‘motorsport valley’. This feature works in complete harmony with the hyperMILL Z-Level Finishing Cycle that enables Alitech to lean the cutting tools at angles that are very close to the wall of the portholes. This permits Alitech to run short-length cutting tools in port bores. The benefit of this is improved stability, rigidity and surface finishes that permit machining at higher speed and feed parameters. hyperMILL has reduced programming and cycle times, improved surface finishes, lead-times and more importantly given the Northamptonshire business the confidence to take-on the most complex components. Another aspect of hyperMILL that has certainly improved throughput is the Stock Model feature. “The Stock Model tool allows us to simulate what stock is remaining on the component at any point in the process. This is really useful on challenging parts that require 2nd ops. If we have to re-orientate and re-fixture a job, hyperMILL will show us exactly what stock remains on the job and what has been removed, so we’re not left guessing. It allows us to eliminate fresh air cutting and likewise, it prevents us from hitting a job too fast or hard with the tools or having a collision. The Stock Model ensures our second-op cutting tools are machining the remaining stock at the correct parameters and position rather than tentatively stepping through the cycle until we reach the remaining stock material. This is creating huge savings in set-ups, programming and machining times on very complex jobs that may need multiple set-ups,” concludes Mr Cudd.